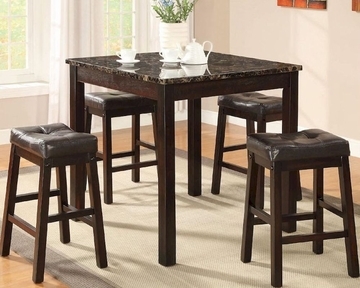 Dress up your kitchen nook or dining room space with this five piece table and stool set. 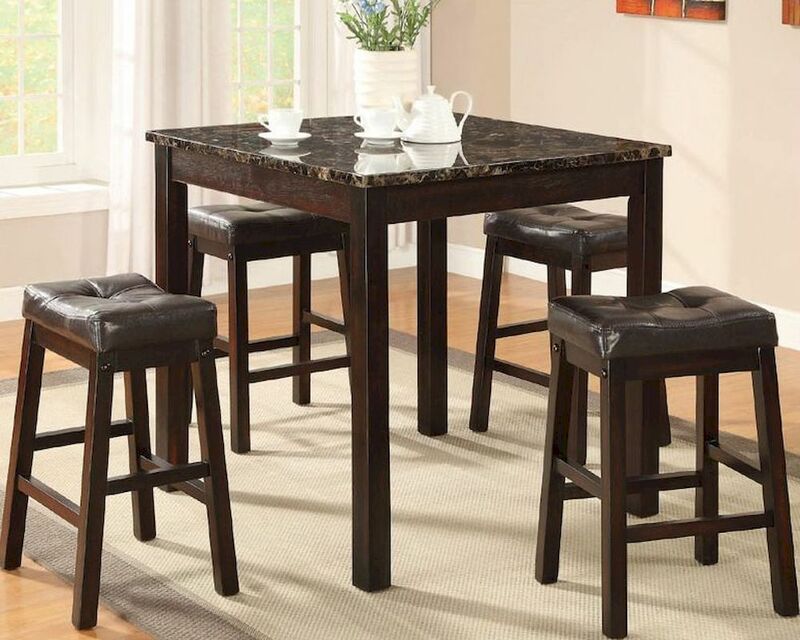 The 36-inch square pub table features a polished faux marble-look top for substantial style . 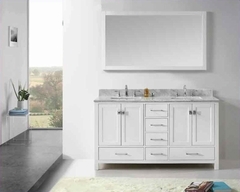 The set includes four plush backless saddle stools with vinyl, tufted seats and sturdy post legs for comfortable seating. Stretchers are included for additional support and design detail.